TOPEKA – The Kansas Bureau of Investigation (KBI) has initiated an investigation into reports of sexual abuse perpetrated by clergy of the four Catholic dioceses of Kansas, and asks all victims to report clergy abuse to the agency. On Nov. 15, 2018, Kansas Attorney General Derek Schmidt requested that the KBI investigate allegations of sexual abuse by members of the Catholic clergy in Kansas. 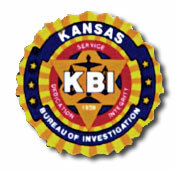 Since then, the KBI has convened an internal task force of six special agents who will conduct a thorough investigation into abuse reports received from the public, including accounts from anyone who has been victimized by members of the clergy, including church employees, church volunteers, or any others in positions of authority within the church, and complete a review of church documents.
. The KBI asks victims to report all incidents of abuse, no matter how long ago they occurred, and even if they were previously reported to law enforcement, or the church.